Seventeen-year-old Rukhsana Ali tries her hardest to live up to her conservative Muslim parents’ expectations, but lately she’s finding that harder and harder to do. She rolls her eyes instead of screaming when they blatantly favor her brother and she dresses conservatively at home, saving her crop tops and makeup for parties her parents don’t know about. Luckily, only a few more months stand between her carefully monitored life in Seattle and her new life at Caltech, where she can pursue her dream of becoming an engineer. 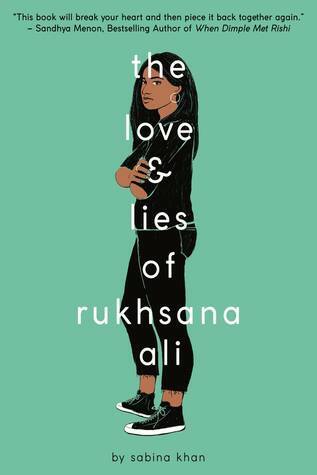 But when her parents catch her kissing her girlfriend Ariana, all of Rukhsana’s plans fall apart. Her parents are devastated; being gay may as well be a death sentence in the Bengali community. They immediately whisk Rukhsana off to Bangladesh, where she is thrown headfirst into a world of arranged marriages and tradition. Only through reading her grandmother’s old diary is Rukhsana able to gain some much needed perspective. Rukhsana realizes she must find the courage to fight for her love, but can she do so without losing everyone and everything in her life?